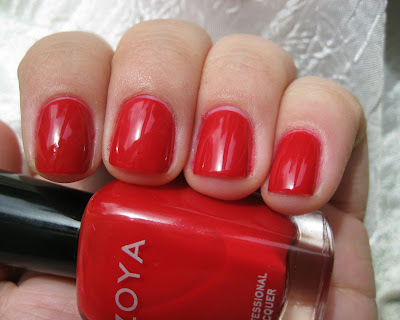 Zoya Carmen Swatch (Photo Heavy) - Polish Etc. 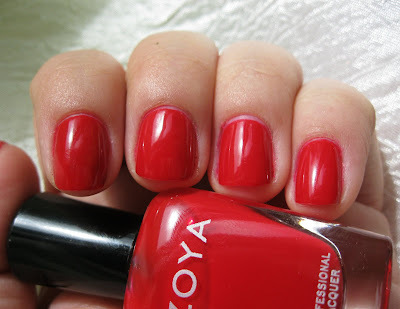 Zoya Carmen is described as: "Bright, clean medium true red in a glossy creme finish." To me Carmen is a nice medium red, not too bright but not dark either. 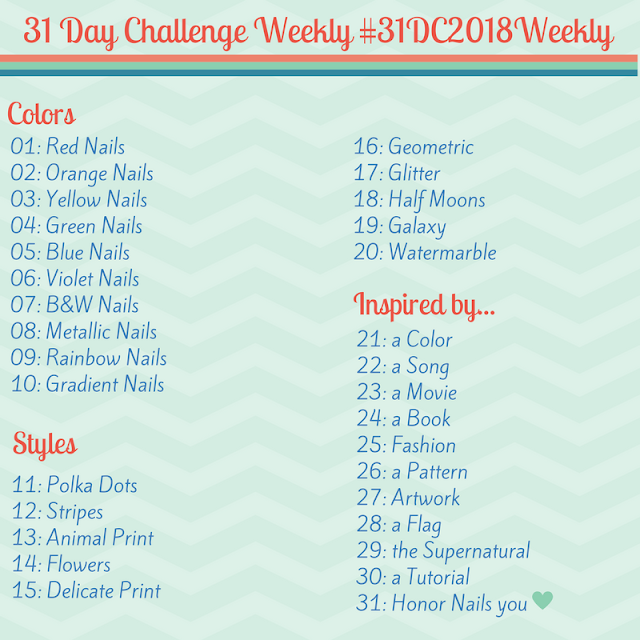 The formula reminds me more of a jelly than a creme, and the super shiny finish is typical of a jelly... but Carmen is opaque in two coats and is definitely a creme. I had a few problems with the application, the formula is very thin for a creme and flooded my cuticles easily. 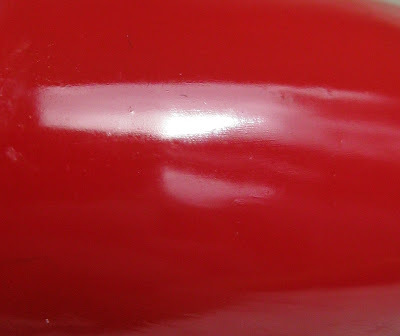 The polish didn't level itself out very well with two coats so I ended up adding a third to try to get that super smooth glossy finish. It dried pretty quickly so three coats wasn't a problem at all (I'm just a lazy habitual 2-coat girl). With three coats, the polish was level and smooth but I had a few careless air bubbles. A coat of my trusty SV leveled it all out and hid any imperfections. The color is perfect. It's just the right color red for my skin tone and I couldn't be happier. Perfect. Classic. Red. I think I'm in love! Isn't it just gorgeous? 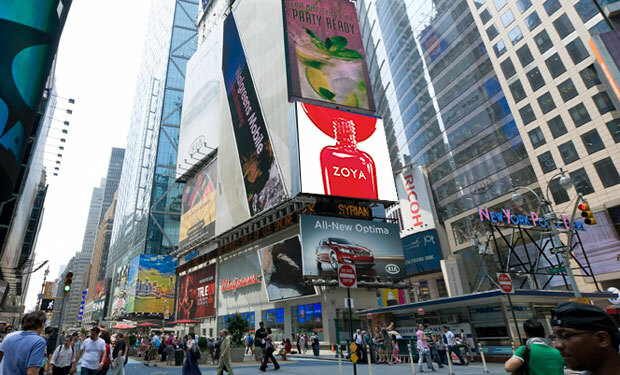 I see now why Zoya chose it as the color for their NYC Times Square add. ... and a close-up. So shiny!